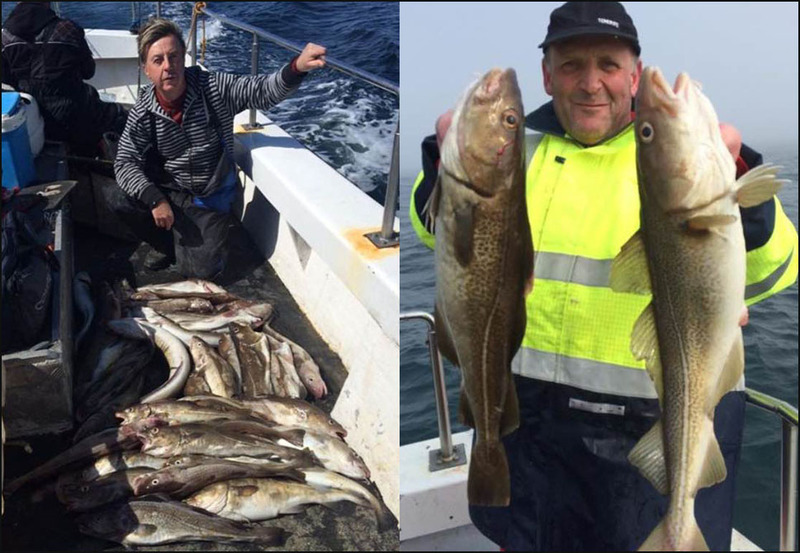 Alliance operates all year round- fishing wrecks and reefs from Spring through to Summer as well as Winter Uptiding. 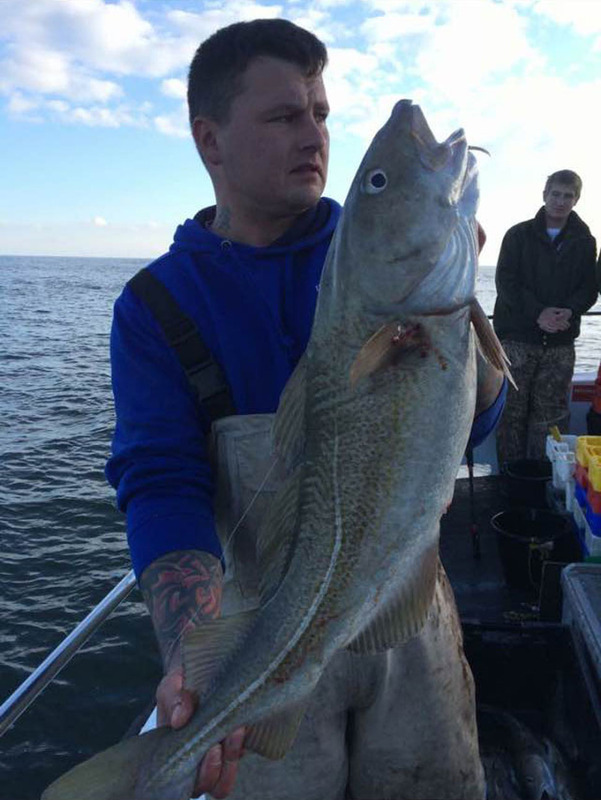 The Whitby boat fishing peak season is Summer when we fish the many wrecks that are prolific off the waters of Whitby as well as some of the best cod grounds in the UK. We run trips of between 8 and 12 hours- call us with your requirements and we’ll do our best to accommodate you. Our peak season trips generally sail at 7am with Winter uptiding trips setting off between 7 and 8.30am. 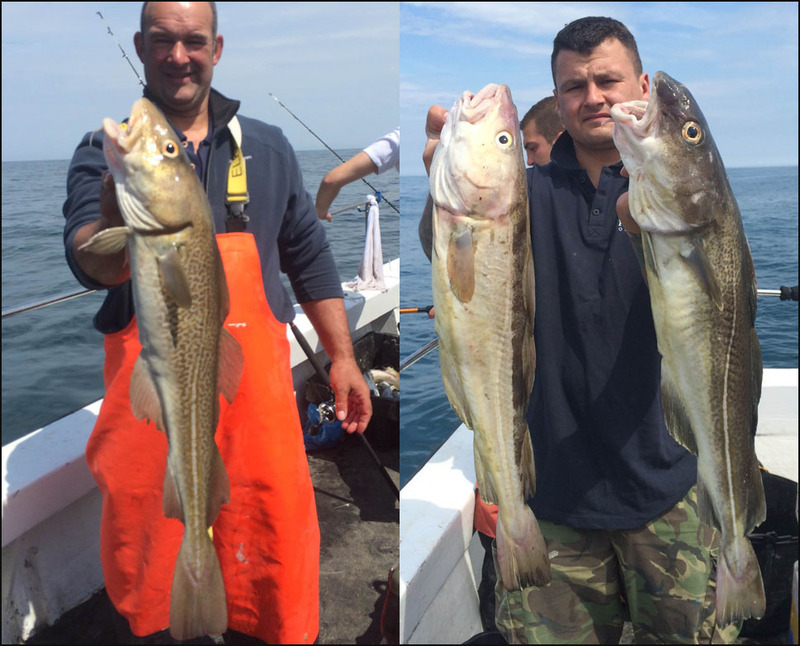 The boat fishing off Whitby is fantastic for cod all year round, while Autumn is great for double figure ling, Late Spring for some beautiful pollock and Summer sees mackerel, gurnard, haddock and catfish (woof) all feature in the catches. If you need hire gear we have quality set ups available and can give advice on what terminal tackle and bait you will need for your trip. On top of an excellent days fishing, you are likely to encounter some incredible marine wildlife, with dolphins, porpoise and minke whales all regularly sighted off Whitby. Alliance will typically have 10-12 anglers on board during peak periods, but our close relationship with sister boat TROT ON means that we can combine our capacities to cater for larger groups such as stag parties, family occasions, corporate teambuilding or angling club outings. As a member of the Whitby Charter Skippers Association we will be fishing in the Spring, Summer and Autumn festivals with the aim of putting our anglers onto the amazing cash prizes on offer that are up to an amazing £5000 for 1st place in the Summer Festival.